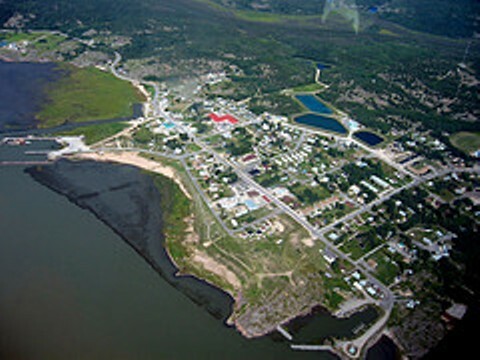 Fort Chip from the air. Athabasca Tribal Council (ATC) needed more flights between Fort Chipewyan and Fort McMurray and has found a solution to their problem through a collaboration with Northwestern Air Lease. Now they have three more flights each week serving the tribal council members’ needs. said Lori Brebant the Health Director at Athabasca Tribal Council. A joint statement from Chief Archie Waquan (Mikisew Cree First Nation) and Chief Allan Adam (Athabasca Chipewyan First Nation) reads “We are excited about the opportunity for ATC to work with Northwestern Air in order to better serve our members. Time-sensitive travel for health is always in high-demand for our remote community. Now we have another option to meet those needs." In addition to increased flights and comparable pricing, the company is also offering other services, including charters and freight options. Northwestern Air Lease have larger planes with two engines, resulting in shorter flight times. When space is available, the broader community will also be able to access available seats. “The well-being of our clients is important to us, and we hope the members are as encouraged by this partnership as we are,” said Karla Buffalo, CEO, of the Tribal Council.